On Feb. 5 at 9 p.m. EST President Donald Trump presented his State of the Union address to Congress. 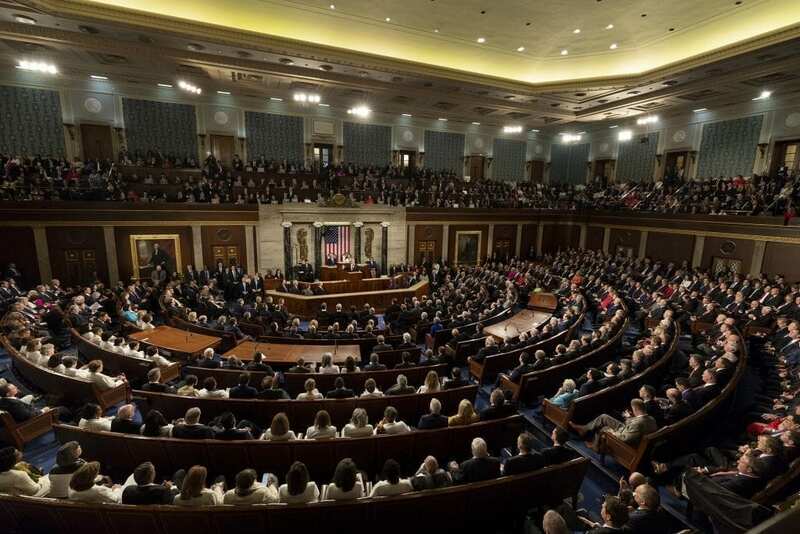 The government shutdown delayed the State of the Union address. Various media sources live-streamed the event from the House of Representatives chamber of the U.S. Capitol. President Trump began by briefly describing American history and 20th-century accomplishments. He welcomed three D-Day veterans and retired U.S. astronaut Buzz Aldrin at the start of the address. He then described what he believed were some important accomplishments of the Trump administration: the economy doubling in size, the lowest unemployment rate in more than 50 years and the elimination of the Obamacare individual mandate penalty. President Trump described the success of bipartisan action. His examples included the reforms of the Veterans Affairs under Obama and the First Step Act which focuses on reforming criminal justice. Following his explanation about the threats of having an unsecured border, he welcomed Deborah Bissell. An illegal alien recently burglarized and murdered Bissell’s parents in their Nevada home. Trump highlighted the new trade deal between the U.S. and China. In addition, he touched on the $100 billion defense spending increase from the North Atlantic Treaty Organization. After that, he explained the need for Congress to pass the United States-Mexico-Canada Agreement and the United States Reciprocal Trade Act. Trump addressed improving healthcare infrastructure, continuing diplomacy with North Korea, attempting constructive talks with Afghan groups and addressing anti-Semitism. Stacey Abrams was the speaker for the Democrats’ response to the state of the union. Abrams began her address with a story about growing up in a working-class family and described why she ran for public office. She then expressed the need for protection of the Affordable Care Act and brought up the topic of climate change, which Trump did not address. “Families’ hopes are being crushed by Republican leadership that ignores real life or just doesn’t understand it,” Abram said. Abrams talked about the reality of voter suppression and her reasoning for starting a nonpartisan organization called Fair Fight to advocate for voting rights. Visit Politico to read the full transcripts of President Trump’s address and the Democratic Party’s response.